This morning I had emptied and loaded the dishwasher, cleaned off the table, made the bed, took a little nap, did a load of laundry and picked up the kids toys all before 10am. At 37.5 weeks pregnant, I felt that was a feat. Especially because I hate cleaning off the dining room table and making our bed, and usually leave those chores to Nate. “I must be nesting,” I thought as I was scrubbing oatmeal off the table. I know my babies don’t come much earlier than their due date, but here I was, wanting to keep the house in order. I also realized I could be doing this daily cleaning for several more weeks, but hey, you never know when this baby is going to come! 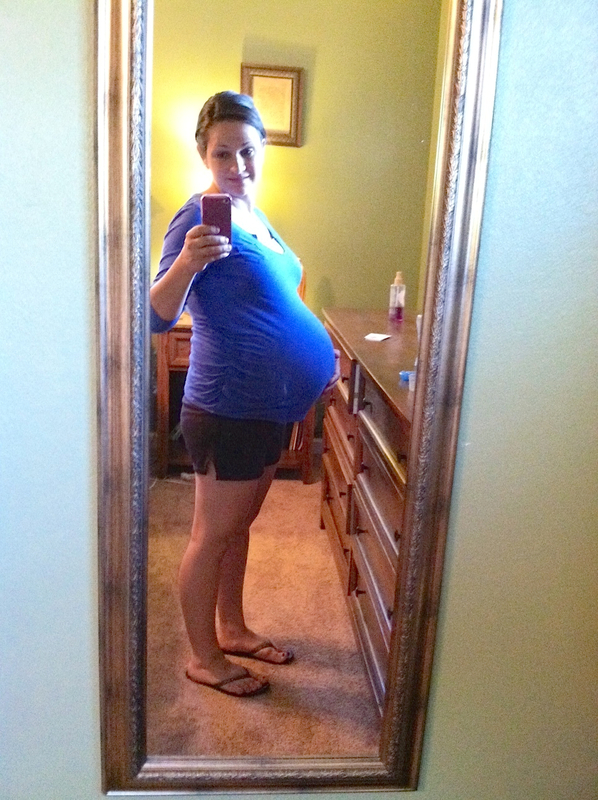 My first pregnant selfie ever….and my last. And I think it’s interesting that with all the advances in technology- with the exception of a c-section- you still never know when the baby is going to come! It’s a waiting game; It keeps you on your toes. Your nesting instinct kicks in, because you always want to be ready. But here I am- I realized, in my first profound moment in months- worried about the temporal importance of making room in our house for new life of a baby while I have been neglecting the importance of making room in my heart for life in Christ. Isn’t nesting the same thing as journeying the Christian life? We never know when Jesus is going to come, or when we are going to leave this earthly life behind. Shouldn’t we always be ready, constantly cleaning out our hearts and making room for new life? Tidying up the messiness and inviting prayer and sacraments into our home to get us ready? But I have been too focused on the earthly aspects of nesting to spend much time in prayer and making sure I’m always ready for the spiritual life that is to come. Hopefully with the help of the Holy Spirit and the graces of Pentecost I can be nesting inside and out – for the new life due the 27th and for the eternal life which Christ has won for me.